While much of South Florida and Miami are enjoying a definite rebound of the real estate market over the past few years, Doral is one Miami suburb that, in and of itself, is definitely on a roll. Much of the area’s development and sales came to a screeching halt when the market crashed but Doral maintained a steady push due in part to its affordability. Real estate developers have been buying available land in Doral with plans to develop condominium communities and single –family home neighborhoods. Doral has a lot to offer those moving to the area in terms of jobs and affordable housing not to mention being a great place for families to settle. 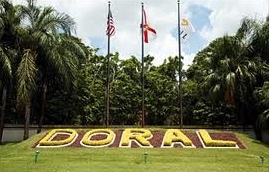 On top of that, Doral is ideal for first-time buyers to get more home for their money. Midtown Doral. The objective of Midtown Doral is to create a pedestrian-friendly community that surrounds a spa-sized clubhouse. This condominium community will consist of six buildings each with eight stories that house (153) one, two and three bedroom units as well as retail/business on the first floor of each building. As the first LEED certified development in the area, plans show tons of amenities including a large state of the art fitness center and spa, restaurants and cafes and so much more for people living there. Inside each residence, clean lines are the focus with a contemporary design and technological advances throughout the home. Four story garages are also to be scattered around the development. The sizes of each residence range from about 1,080 to almost 2,140 square feet with list prices starting under $280,000. Payment schedules consist of 10 percent down with four fractional payments of 10 percent each with the remaining 50 percent due at closing. Reports indicate that when pre-sales started last summer, the first building sold out in 20 days. The development should start construction in the very near future building the development in stages with two buildings in each stage. Modern Doral. Jumping from condominiums to single-family homes, our next community is Modern Doral. We talked about this new Doral neighborhood back in February 2013 when it was announced. 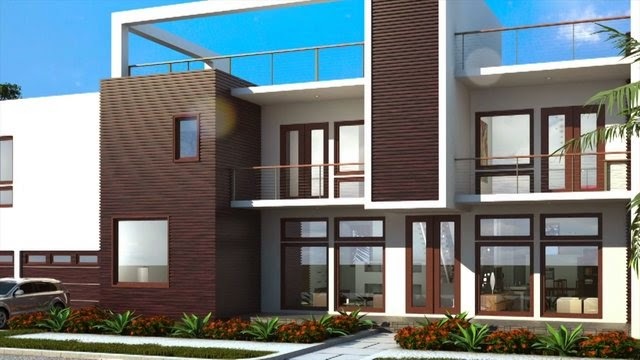 Modern Doral brings an entirely new architectural aesthetic to Doral with the contemporary styled homes that are reminiscent to the sleek look of Miami decades ago. The community plans show that there will be unbelievable community amenities as well as 150,000 square feet of retail space for restaurants, shopping and more. The large development is divided into three gated smaller neighborhoods – Modern Doral 75, Modern Doral 60 and Modern Doral 45. Each neighborhood’s homes vary in size and price but feature amazing amenities and style with gourmet kitchens, rooftop balconies, floor to ceiling windows and more. The square footage of homes ranges from just over 3,600 square feet to over 5,500 square feet with list prices falling between the mid to upper-$700s to about $1.4 million. Payment schedules require a deposit at reservation with fractional payments due at certain stages of construction. Downtown Doral. Downtown Doral is a mixed-use neighborhood that will consist of condominium residences, townhomes, apartments, retail, charter schools, state of the art fitness center and more. The idea is to create a kind of city with a city concept where residents can have everything within hand’s reach. One of the best attributes of Downtown Doral is its location adjacent to the Trump National’s Blue Monster Course. The Townhomes at Downtown Doral list prices range from the mid-$400s to over $600K with square footage between about 1,800 and 2,500 square feet. At 5252 Paseo, the condominium, list prices start in the mid-$200s and climb to the mid-$500s with sizes from 750 to almost 1,600 square feet. Just like the other new developments, reservations are taken with a down payment and fractional payments that total 50 percent of the sale price while the remaining 50 percent is due at closing. IVI Doral. 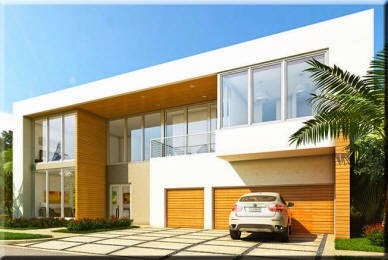 A new development we have not featured, IVI Doral is a new luxury neighborhood of single family homes. This beautiful oasis is centrally located in Doral close to the Miami International Mall, Trump’s Doral Golf Resort & Spa, restaurants, nightlife, entertainment, parks, and highways. IVI Doral is a gated community with 24-hour security and other amenities including a private clubhouse, an oversized swimming pool, a fully-equipped fitness center, and more. Filled with large single family homes, plans show sizes range from about 3,200 square feet to over 6,700 square feet with list prices starting in the mid to upper $900s. The first phase of IVI Doral has sold out with more in the works. With the entire area enjoying the rewards of increased sales in new construction and re-sales as well as the initiative that developers are taking with condominiums and single family home neighborhoods, Doral’s real estate market is set to explode over the next couple of years.